Later this month, Medicap Pharmacy located at 205 North Pacific Highway, will become the only full-service pharmacy operating in Talent. Co-owner and pharmacist Rick Chester hopes those who require pharmacy services in the future will give Medicap a chance to earn their business. "Since we accept nearly all medical insurance plans, insured customers will pay the same copay with us as they have paid at the big box store," Chester said. "And cash customers on maintenance medications pay $12.99 for a 90-day supply of many generic drugs. 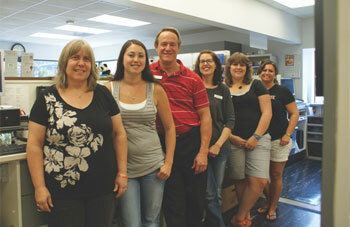 Cash paying customers taking non-maintenance medications often comment on the fact that we beat the big box prices. If you give us a chance, I believe you will be pleasantly surprised." Inti Celebrates Seven Years in Talent! The two opened the restaurant in July 2006. 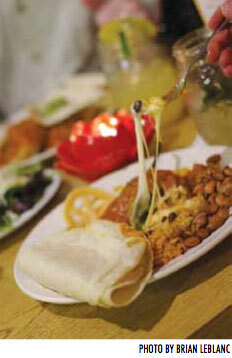 Today, seven years later, Inti employs ten people and is famous in the area for its innovative Latin- inspired cuisine. 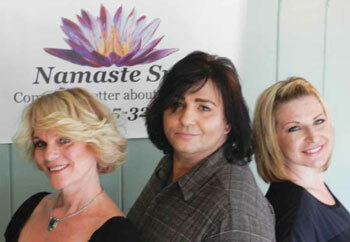 Namaste Spa & Salon opened its doors in March of 2012 at 717 S. Pacific Highway here in Talent. Owner Debbie Patterson, a Rogue Valley native, integrates a diverse background in the health industry to create a spa experience like few in the area. After graduating from the University of Oregon with a Bachelors of Science in Leisure Services, Debbie moved to Seattle and worked in the area of fitness training, teaching classes in Kundilini yoga, aerobics, dance, weight training and nutrition.